If you run an office environment, chances are that you will need to have a reliable printing solution to work with. Your printers and scanner will do more than just print out your documents; they can help you to create electronic versions of files and help to reduce your future expenses by making use of modern technology that you can benefit from. 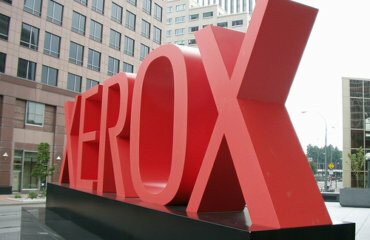 One of these features is the Solid Ink technology from Xerox printers. With Xerox’s solid ink technology, you will have access to an award-winning colour print technology that is only available from Xerox printers. It first broke into the market in 1991 although the technology was already invented in the 1980s. This technology allows you to print stunning high-quality colour prints, and it generates up to 90 percent less printing waste than other colour laser printers. This enables you to benefit from lower costs. The advantage of Solid Ink technology is that it reduces the amount of items you need to replace during the printer’s lifetime; that is why every page of colour prints will cost you less. It’s a simple system with fewer moving components and fewer replaceable parts, lowering your operating costs. This is ideal for people who print on a daily basis, or for high volume environment like printing houses and designers. Solid Ink has a cartridge-free design, so it can easily fit into your drawer, and you won’t have any cartridge to dispose of. It’s a non-toxic, resin based polymer that is similar to a crayon. These sticks are safe to handle and they won’t leak or spill. They won’t even smudge your clothes. The colours thoroughly stick to the page, so you use 100 percent of the ink, all the time. You can simply top up at any time, too. If you do a lot of printing, this technology can help you to save up to 70 percent on the pages you print every day. This means exceptional value for you as a business owner. 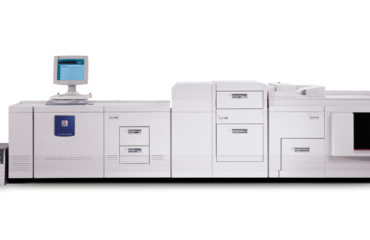 By using a variety of Xerox printers like the ColorQube 9300 series or the ColorQube A4 MFP printer units, you can save with a Hybrid Colour Plan. However, if you choose to rather buy Solid Ink sticks as you need them, without having a metered contract, you can consider using pay-as-you-go. Document Excellence offers you a wide variety of Xerox printers for your business’s printing needs. You can buy a smaller printer for low volume printing, or go with a large format printer with Solid Ink technology if you print high volume documentation or work for a design or printing house. Contact us today to find out how we can help you with all your office printing and consumables needs.